Many process methodologies and frameworks have fundamentally proven components which can identify and promote activities necessary for optimal value, flow and quality delivery within an organization. There are an assortment of ways these methodologies define value, but all methodologies have one commonality, which they share for long-term sustainable success. Leadership and leadership support for value based change initiatives are the number one variable for success or failure of any such initiative. This paper will explore how leadership can promote successful change initiative in your organization and how with thoughtful planning and support you can avoid the most common points of failure. Traditional command and control structured organizations are often not adequately designed for allowing leaders to adequately promote value delivery. Traditional organizational structures are also not conductive at turning managers in to effective leaders. Neither are they designed at empowering their workforce, rather they tend to focus on hierarchical decision making which promotes a command and control mentality. Value or value creation can be viewed three ways. The customer must value it and be willing to pay for it, It must change the product or service, must be done right the first time. Many frameworks do a great job focusing on these three areas. Although frameworks are great tools at enabling value delivery they can only be utilized if the culture and environment fosters and promotes value delivery at every level in the firm, including the individual. Using Pareto’s law we can deduct that tools/frameworks only represent 20% of the ability to deliver optimal customer value while leadership empowerment and support comprises the additional 80%. In successful value focused firms 80% of the effort is expended on changing leaders' practices and behaviours, and ultimately their mind set. Senior management has an essential role in establishing conditions that enable the effort to succeed. Their involvement includes establishing governance arrangements that cross divisional boundaries, supporting a thorough, long-term vision of the organization's value-producing processes, and holding everyone accountable for meeting value driven commitments. This is accomplished through regular, direct involvement and understanding their role in empowering their employees (intellectual capital). Without this vision any value driven initiative (Lean, Six sigma, Theory of Constraints, agile) will only be seen as the flavour of the month. Asking yourself “is your customer is willing to pay for the activity you are engaged in” can provide tremendous introspective when leading. Defining value in any other terms can undermine the potential of value delivery for the firm. Leadership often takes too much credit in the value of the organization when they often have created little direct value. The majority of the value delivered is through the product, services or placement of your firm’s competitive advantage. This means your greatest potential for value creation often resides in the employees who produce your competitive advantage. Historically to gain the ranks of manager one had to experience learn and work in multiple domains and layers of your organization and rise the ladder through the learning curve of the multiple layers. This allowed managers to gain knowledge and experience which could be used to effectively lead and make intelligent decisions. Today management still rises through the ranks but often they lack the domain knowledge they would have previously gained. Rapid Technology changes make it difficult for management to have the same depth of knowledge as those they manage. The pace of change today has created a model where leadership is in stark departure from leadership over the last century. Traditionally organizational structure is a product starting with the industrial revolution with influence from military modelling, which has proven successful between 1900-1960. A command and control model focuses on management making strategic and tactical decisions for their employees to follow without question. This method worked fairly well in highly controlled production environments which had little variability in their process. Peter Drucker the father of Management predicted and then noticed a shift in the early 60's which indicated successful firms are putting more decision in the domain of their employees who work with the product. Product complexity and efficiency were creating an environment where productions lines where much more complicated and variable. With the emergence of service based industries it quickly became apparent that traditional management methods were out dated (although this had become equally apparent in manufacturing earlier). 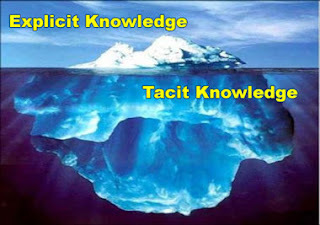 Successful organizations today understand the majority of tacit knowledge with tremendous potential resides in the knowledge worker. This is the same worker who under earlier models lacked decision making authority and operated as order takers. What is the primary role of a leader today then? This question is asked far too infrequently, and when it is asked, the answers are predictable and often wrong. But it is a vital question, as without leadership, empowered employees will never get off the ground. Common replies include setting the vision, establishing priorities, and providing motivation. These are important responsibilities they are out dated. The essential purpose of a leader is to do one thing: create and empower change. Without a good leader, nothing changes. If a lean program, or any other program for that matter, is failing, it is probably not the fault of the tools. It is failing because of lousy leadership. As you embark on your journey, learn all you can about the concepts, practices, principles, and tools of your choosing. But remember, above all, the goal of these tools is value – and value hinges on leadership who promote and empower that change. The knowledge workers need to be in control of achieving and promoting change. Therefore, the leader must convey to the worker that they are the ones who own the processes. Leaders need to empower people to have everything in place in order to perform. Only when they know and are empowered what to do will they feel accountable and take ownership of the processes. In organizations with traditional leadership behavior, there are frequently policy deployment directions from senior management. The mindset of these leaders is not to involve the people at all. Therefore, people can’t relate to the KPIs (Key Performance Indicator) that cascade down because they can’t understand their contribution or the relevance of the KPIs. People in these companies can’t engage themselves in supporting their senior management in delivering results. Consequently any initiative which does not empower or utilize the input of the employee are more likely to fail. Leaders must focus on commitment to continuously invest in people and promote a culture of continuous improvement. There is no destination for value delivery models, there's only the journey. As a leader you should never consider your “Lean” or “Agile” program as complete. Once you make this mistake you start down the path of contentment and will lose focus on empowering continuous change. If leader provides a full and continuous investment in their employees then they will in turn see dedication. All too often when talking to senior management about learning and multi-skilling of employees, they tell us they worry about efficiency. 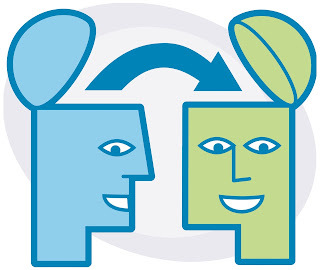 When people are learning, they are slower and less efficient is often communicated. Therefore, the view is that it is more efficient to have the specialist work on the specialist things (there are times and places for specialists but that’s for another paper). This might make sense from a traditionalist, but from a product-development-as-knowledge-creation perspective, this kind of thinking is plain wrong and even dangerous. Learning is the major value added activity in product development and knowledge transfer. In the long run, reducing learning will only result in loss in market share and a less valuable staff. Often management use the excuse that they have to assign resources to satisfy the customer first, which leaves them little or no time to make real change. Their bosses find it hard to argue the point (or use it as a convenient excuse themselves). Value based culture requires you to make the time to make the change—long-term planning and results versus short-term results with little planning. All leaders have the ability to adapt to the new value driven leadership mindset. However, not everyone will be capable of doing it without intensive coaching and support from their own leader or experienced external coaches. Even though initially some of these leaders will not feel comfortable in being a leader in this new system, not many of them leave or are forced to leave because, over time, most will understand the value and adapt to the new leadership system. Not every leader nor every company culture is ready for this change in leadership mindset. Despite this, many companies have implemented value based tools and techniques for years with tremendous success (Toyota, Boeing, GE) . For example using a lean framework, ‘Center for Ledelse’ interviewed 400+ companies concluding that only 7% had realized more than 80% of their expectation in their Lean program. This only confirms that these companies need to take action now in adapting Lean leadership behaviour and mindset in to their company culture. Every leader deserves a chance, but remember you will have to fight a lot of skepticism down that road. You will likely need to convince the team members by showing them what is in it for them personally. People will change when they realize that their leaders really want to empower them. Leaders need to be consistent in what they ask for. They should not reduce their requirements. They should not change their communication. Consistency it required and we must accept the fact that it takes time sometimes many years for this change to fully reflect in the culture. Dedication is required of each team member to strive for self-improvement. Commitment is needed for each team member to ensure the values and principles will be followed and the team will hold itself accountable. Courage, because the emotions that empowerment invites, will be unlike anything the employee has ever professionally experienced. Avoid non-dedicated team members or “partial allocation.” A team member who is in multiple teams does not have the same commitment and shared responsibility as the other members. Part-time people equate to part-time commitment. Part-time commitment leads to team failure. To the maximum amount possible, all members are 100 percent allocated—fully dedicated to their team. The amount of management waste that disappears is amazing. What you do from this point forward is exciting. The possibilities for your firm are endless. There are many sceptics who think value based programs cannot work for them. They are right, if they keep that mind-set then it can’t. There is no doubt the concepts presented in this paper can work for you. From the world’s largest auto maker to the smallest organization you can make this work. It can work for you, your vendors and even your customers. Take the time to explore your leadership potential and realize that anything is possible. Large and small corporations, both in high-tech and traditional industries, now owe most of their value to investments in knowledge. These investments, creating value from the intangible assets of intellectual capital, have a better return on investment (ROI) than physical assets. In our knowledge-based economy, effectively developing and applying intellectual capital is the key to creating value. Intellectual capital is defined by businessdictionary.com as the "Collective knowledge (whether or not documented) of the individuals in an organization or society. This knowledge can be used to produce wealth, multiply output of physical assets, gain competitive advantage, and/or to enhance value of other types of capital. Intellectual capital is now beginning to be classified as a true capital cost because (1) investment in (and replacement of) people tantamount to investment in machines and plants, and (2) expenses incurred in education and training (to maintain the shelf life of intellectual assets) are equivalent to depreciation costs of physical assets. Intellectual capital includes customer capital, human capital, intellectual property, and structural capital." Restricting employee's authority and responsibility to make routine decisions. Having highly paid staff do routine tasks that don't require their unique expertise. Not providing the business tools needed to perform and continuously improve each employee's assigned work. Not trusting your people to stop production to stop and fix a problem (jidoka). Not trusting your people to be responsible for the cleanliness, maintenance, and organization of their own work area. Not trusting people with a flat organization structure of largely self-directed teams. Not expecting (and measuring) every person to contribute to continuous improvement. The intriguing concept in this statement is the inability to trust. This lack of trust speaks to the ecosystem of current organizational structures. Peter F. Drucker stated that the organization hierarchy in most organizations today developed as a result of World War II and the attempt to create efficiencies by structuring the firm like the military. While this organizational structure may have made sense 50 years ago, the command and control model is one which does not support the facilitation of human capital to better your organization. Through my research I would argue the military type structures in place today are ineffective in developing and applying intellectual capital and need to change. Turf wars, politics, red tape, budget nepotism, envy, ego, greed, cronyism, short-term thinking, and rapid changes in strategic direction for no apparent reason must be removed from the culture and replaced with the fuel, the tools, the resources, and the attitudes that drive the innovative process. Any organization, whether a for-profit business, a nonprofit organization, a government agency, or an academic institution, that has a culture where there is a direct or indirect, explicit or implicit, stated or whispered vested interest in keeping things exactly the same to produce continuity and to win the elusive prize of job security will surely die a slow death and will never be a place where creativity is cherished or innovation is harvested. Cultures of innovation are places where creativity is celebrated, rewarded, and cherished at all levels in the organization. When teams are truly inspired and passionate about their work, they are much more likely to discover and to dream without the fear of “extra effort” or discretionary time (e.g., time and effort expended in the workplace beyond what is typically expected) that innovation can flourish and valuable crops can grow. 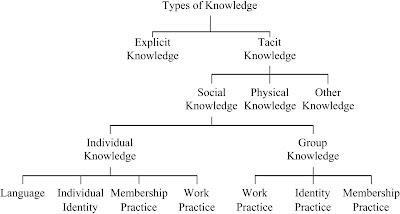 In my experience, about 80% of a company's knowledge is undocumented or unshared and thus lives in the tacit knowledge world while the remaining 20% of explicit knowledge lives in documents or procedures which in that are often ignored. Think about that ratio in terms of your organization. If you are only utilizing 20% of the knowledge of your employees, what is the opportunity cost to your firm for what you miss out of your intellectual capital? If 80% of your organization's capital resides in the knowledge of your workers, managers are hobbled in their ability to make decisions regarding how those assets are utilized. CEO's are frequently asked "What is the most important asset to your organization?" The standard response is, "Our people." While this is often the general response, it is rarely true. When asked to further define why people are an organization’s most important asset, most managers will resort to primitive answers such as, "They make our products," or "Without them we can't do anything." While these responses are certainly correct, they are a subtle gauge of a lack of trust because they only refer to the physical output of the employee. After all what's one the first items to be cut when cash flow goes red? This line of thinking is not only broken, it's dangerous for the future of your organization. Regardless of your product or service, your greatest asset is your people; not in what they do but in what they know. Their intellectual capital (tacit knowledge) is something that can move you from being a good company to being a great company. With knowledge empowering people, your organization can develop products your competition simply can't given the same resources. The failure to leverage employees’ knowledge creates the opposite result. We have seen companies falter when people retire from firms that have failed to create an environment of successful knowledge transfer. A culture of innovation begins at the top but must permeate and trickle through all levels and all functions within any organization. The work ethic, transparency, simplicity, humility, integrity, and accountability of most farmers offer insights and leadership lessons for all of us, particularly leaders interested in fostering a culture committed to intellectual capital agrarianism. Norms must be put into place and enforced that foster cooperation, teamwork, candor, a sense of a common purpose, and a commitment to a set of institutional core values that transcends individual agendas and priorities. These shared values must be truly embraced by everyone, not just appear on a page on the company’s website. People are more likely to innovate and truly want to improve their workplace when they identify with and want to be governed by a set of shared institutional and consistent values and when they are confident that the fruit of their innovation labors are aligned with overall companywide strategies and goals. As executives, dedicate yourselves to supporting substantial efforts to prevent lost knowledge but culturally and physically. Create a culture of lean which empowers knowledge workers. Empowerment is a book in itself but to create this environment you must create what Forrester calls HERO (highly empowered and resourceful operatives). Creating a process of improvement through value streaming and Kaizen where management recruits intellectual capital accepts the recommendations for change. Emphasize teamwork over teams. Teams refer to small groups of people working together toward a common purpose. Teamwork refers to an environment in the larger organization that creates and sustains relationships of trust, support, respect, independence and collaboration. Creating highly empowered teams that work without titles can create the shift of culture to one that prizes intellectual capital. 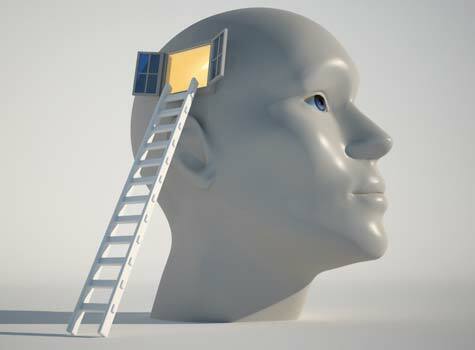 Focus on knowledge capture and allowing knowledge transfer. 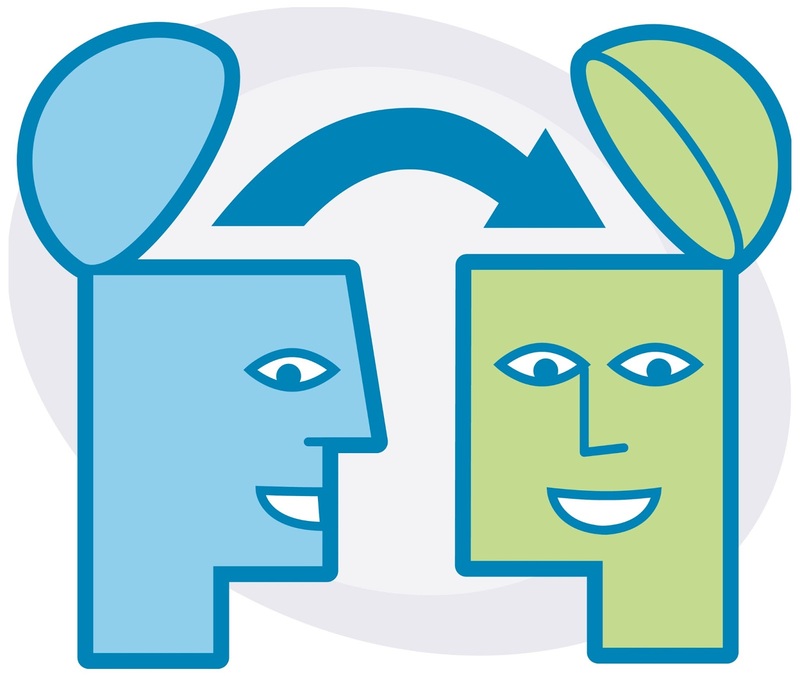 Several methods can entice team members to transfer knowledge, including mentoring, paired teams, work shadowing and simulations. Utilizing human potential is a complex topic. Although many organizations view capturing the remaining 80% of tacit knowledge as a lost cause, it is certainly worth the effort. In reality, most firms do little to try to capture and use their human potential. However, doing so can provide exponential returns and will enable your organization to achieve greater success with minimal additional resources. I encourage delving into some of the lean communities for more advice on how to utilize human potential within your organization.